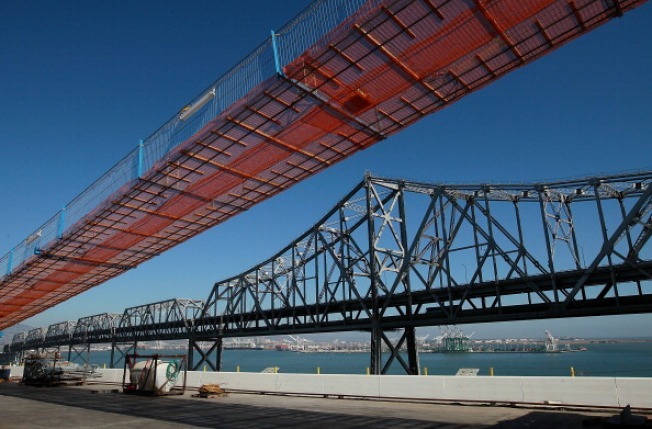 FILE PHOTO: A section of the catwalks hang over the eastern span of the San Francisco-Oakland Bay Bridge next to the existing bridge during a media tour of the self-anchored suspension span tower on August 29, 2011 in Oakland, California. How safe are the bridges we drive across every day? We've put together this list of resources to help you find out if the bridges near you are up to standards. Enter your city or zip code here to find information for your area. From the U.S. Department of Transportation Federal Highway Administration.